G2G Communities is a not for profit, community interest company with fully equipped learning centres based in Rhyl & provide mobile learning throughout North Wales. We provide a range of bespoke courses, programmes and qualifications through our extensive partnerships with organisations such as LEGO, the British Computer Society (BCS), Learndirect, Agored Cymru, UK on-line and the Virtual College – view all of our partners. 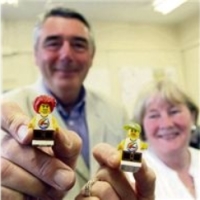 We provide fully equipped training rooms in Rhyl and are a LEGO Education Innovation Studio. We provide mobile services across North Wales delivering courses, equipment, resources and staff at times and locations to suit your individual or organisational needs. We are working with a range of Public, Private, Third Sector, Volunteer and other organisations to deliver bespoke training courses, support, coaching and mentoring to individuals and corporate organisations so why not contact us on 01745 334 482 to find out what we can do for you. In the evolving world of IT, training is an essential part of continuing your professional development and keeping skills up to date, as an Approved BCS Centre we provide accessible computer and internet qualifications that are internationally recognised and industry relevant. ECDL is the world’s leading computer skills certification. Widely recognised qualifications, valued and respected by employers. Agored Cymru accredited learners are in a strong position to find a job or progress in their careers. With over 6,000 units and over 300 nationally recognised, quality assured qualifications across a wide range of subjects, from Essential Skills to Sustainability. We offer a wide range of Ofqual Regulated (QCF and RQF) and Qualsafe Awards Recognised (QAR) Qualifications. We offer a range of off-the-shelf courses and qualifications developed by the Virtual College who are e-learning experts and accredited by industry awarding bodies, helping learners to reach their potential. 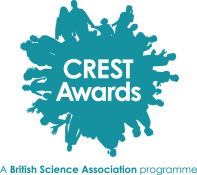 The British Science Association’s flagship programme for young people, providing science enrichment activities to inspire and engage 5-19 year old’s. City & Guilds qualifications are designed to be undertaken both in the workplace or in the classroom or as a combination of the two. We provide City & Guilds essential basic skill courses and qualifications, helping learners to develop the key skills they need to succeed, call us on 01745 33 44 82 for further information.